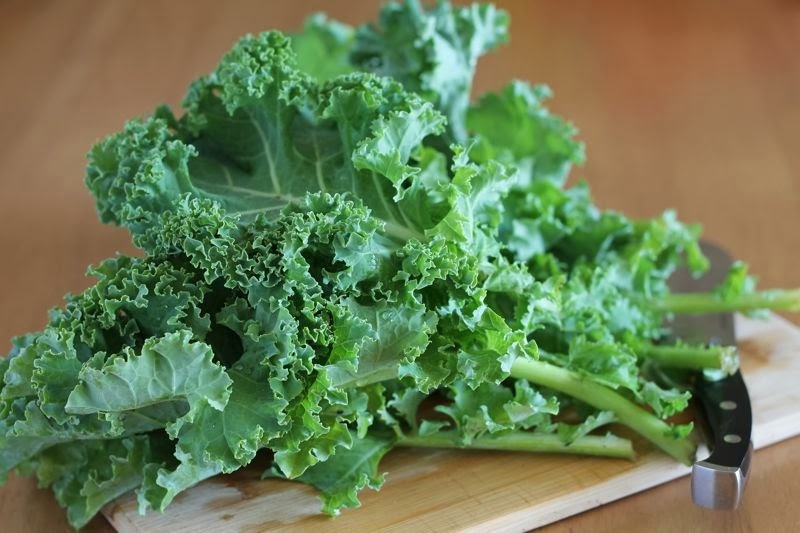 Inside The Cocoon: Kale B’ Gone: It’s like magic! Since it's now officially fall, let's ring it in with one of the great Autumn Vegetables! Kale! Guest post by Leesa King. Don’t you just loovee when the produce drawer of your refrigerator is overflowing with kale? So healthy and innocent, full of beta-carotene (the pigment component of vegetables, precursor to Vitamin A) and yet you run for the cupboard at the mere thought of it? If you’re anything like me at the grocery store, you walk confidently towards the produce department and take one of every color and shape from the organic selection of seasonal items. [Recent favorites: green kale, summer squash, heirloom tomatoes, yams, blueberries, and melon] You then glide to the checkout counter with dignity and pride, imagining yourself dancing around the kitchen as the star of a 50’s musical as a modern foodie housewife. Yet, as Monday melts into Friday, the coconut date rolls are all gone and the kale remains. The guilt looms. Even famous magicians can’t make kale disappear. It’s just too dang chewy. Here’s a simple and easy way to prepare it, and even get your kids/husband to eat it. AND LOVE IT. Ever heard the phrase “put a bird on it!”? Or remember My Big Fat Greek Wedding where the dad sprays windex on everything? Call me crazy, but I’m the bbq sauce lady. It’s my safety tool of choice in the kitchen. Just as long as there’s no high-fructose corn syrup involved. Make your own version of this spicy asian bbq sauce or simply add your favorite store-bought BBQ to the kale once it’s done stewing. If making your own, learn to go with the ebb and flow of the ingredients with your taste buds in charge. Anti-recipes are much more fun and allow your inner Julia Child to shine! Over low-medium heat, add all ingredients to a pot or skillet, depending on the size of your kale surplus, and simmer for about 5 minutes while you prepare the greens. 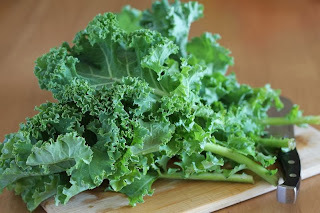 Wash kale thoroughly and tear the bottom half of the chunky stems completely off. [Throw this bit away, even the garbage disposal will struggle with it] Rip the rest up into pieces and send straight into the sauce with about 2 Tbs water & cover. Stir every minute or two so it all cooks evenly, about 7-10 minutes, again based on your preference. It’ll smell so good you’ll feel like you’re stirring a pot of witch’s potion. Muahaha! Try not to laugh mysteriously. Then serve it up hot & delicious and feed the frenzy, yelling things like “Get it while it’s hot!” And then, somehow, the kale is gone. It’s a mirakale! Heh, heh. Cheers!